What happens to the quality of care delivered when physicians face no threat of malpractice? Does the presence of malpractice pressure lead to “defensive medicine”—the delivery of tests or treatments that may not necessarily be in the best interest of the patient but can serve to shield the physician from threats of liability? These questions directly address two important aspects of the health care system in the United States: quality of care and cost of treatment. 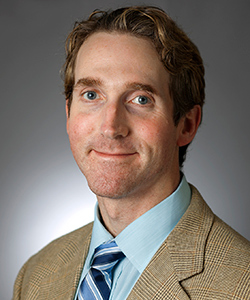 The National Institutes of Health awarded Professor Michael Frakes a $1.2 million grant to conduct a four-year study entitled, “The Impact of Exempting Medical Providers from Malpractice Protection.” The study will examine questions related to the impact of medical malpractice on health care outcomes. Frakes, who will serve as the project’s principal investigator, joined the Northwestern Law faculty in 2014. A noted expert in law and economics, his research includes health law, with a particular focus on how certain legal and financial incentives affect decision making in health care, and innovation policy, with a focus on the relationship between the financing of the U.S. Patent and Trademark Office and its decision-making processes. Frakes holds a BS and a PhD from the Massachusetts Institute of Technology and a JD from Harvard Law School. To conduct this research, Frakes will work with a unique data set from the Military Health System (MHS): extensive information on treatment, outcomes, and patient satisfaction from active duty personnel, dependents, and retirees. “Under federal law, active duty patients who are negligently harmed while receiving treatment at military facilities cannot sue for medical malpractice,” Frakes explained. “But malpractice laws do apply to the treatment of dependents and retirees at these same facilities.” These rules, along with certain other features of the MHS, provide a crucial input for this study—the observation of a group of patients whose doctors face no malpractice pressure. “By comparing health care outcomes for patients that pose no malpractice threat to those of comparable patients who can sue for negligent medical care, we can identify the impact of liability pressure on practice patterns, medical costs, and patient outcomes,” Frakes said.